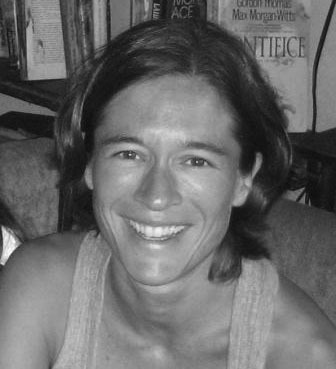 Tanya O’Garra has a PhD in Environmental Economics from Imperial College London. She has carried out economic valuation studies of hydrogen transport technologies in the UK, traditional fishing grounds in Fiji, climate change adaptation projects, and defluoridation water treatment plants in rural villages in India. Tanya’s main area of interest is in applying behavioral and experimental economics approaches to the development of interventions aimed at motivating environmentally and socially optimal behavior across a range of cultural, institutional and natural resource management contexts. As an Earth Institute Postdoctoral Research Fellow at CRED, Tanya’s main research focused on exploring the drivers of cooperation and altruistic behaviour in groups, using economic experiments. This work is still ongoing, and involves framed field experiments in rural India around the issue of drinking-water management; and large-scale online experiments exploring group size and leadership effects in multi-player dictator games. Tanya was also involved with the Polar Learning and Responding (PoLAR) project, in which she used fuzzy cognitive mapping via randomized controlled experiments in the lab to identify the impacts of novel educational tools on learning and systems thinking. Additionally, she continues to collaborate on the International Research Institute for Climate & Society (IRI) Caribbean disasters project, identifying the value of preparedness, and the potential use and value of seasonal forecasts in the region.